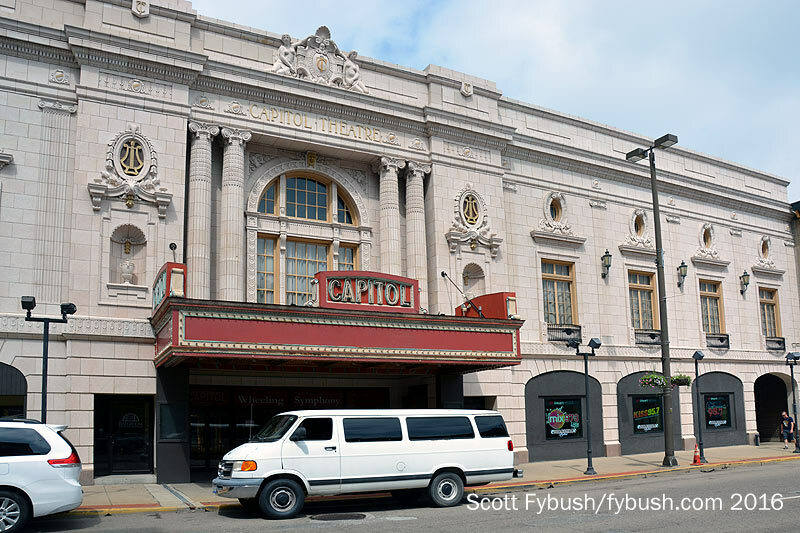 The most famous radio site in town, of course, is the Capitol Theatre, longtime home of the Wheeling Jamboree and the station that carried it for many years, the legendary WWVA (1170). 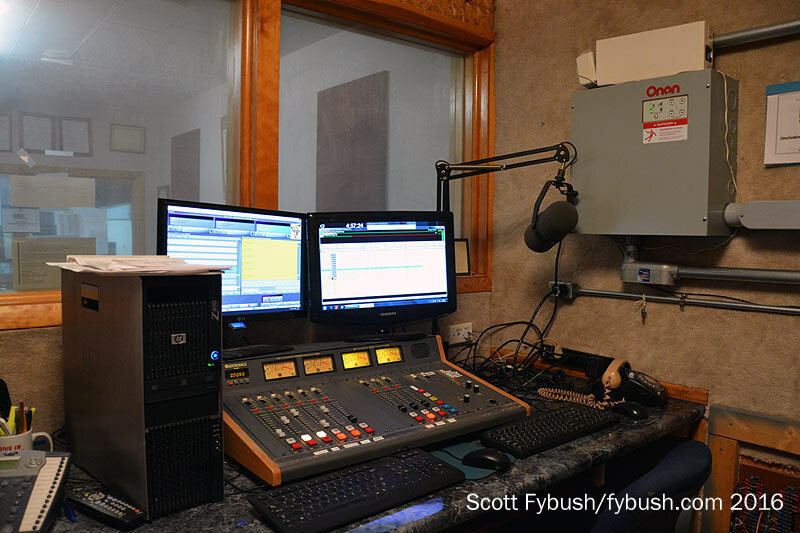 While WWVA no longer carries the Jamboree (it’s on a really cool little LPFM now, WWOV-LP 101.1), it and its iHeart sisters are still in studios here, and one of these day we’ll get back for a tour. 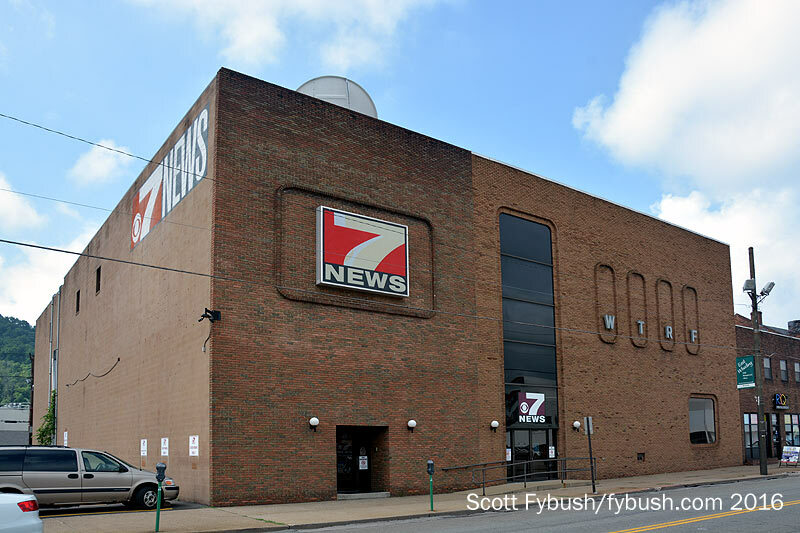 Just a couple of blocks away, we spot a window for a competing pair of AMs in town, talkers WKKX (1600 Wheeling)/WVLY (1370 Moundsville), on our way to the cross street where CBS/ABC affiliate WTRF (Channel 7) makes its home in a hulking brick building. 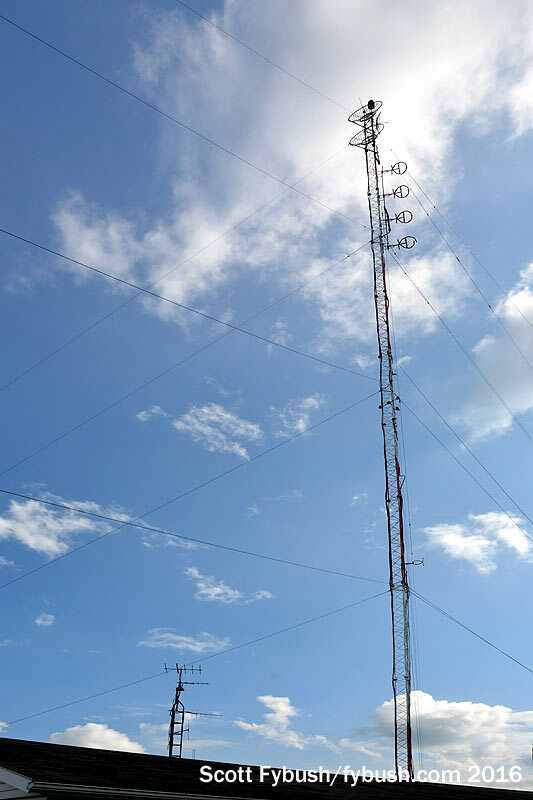 From here, we can look up into the hills across the Ohio River to see the tower of WTRF and two of the iHeart FMs, WEGW (107.5, the old WTRF-FM) and WVKL (95.7 Shadyside OH). 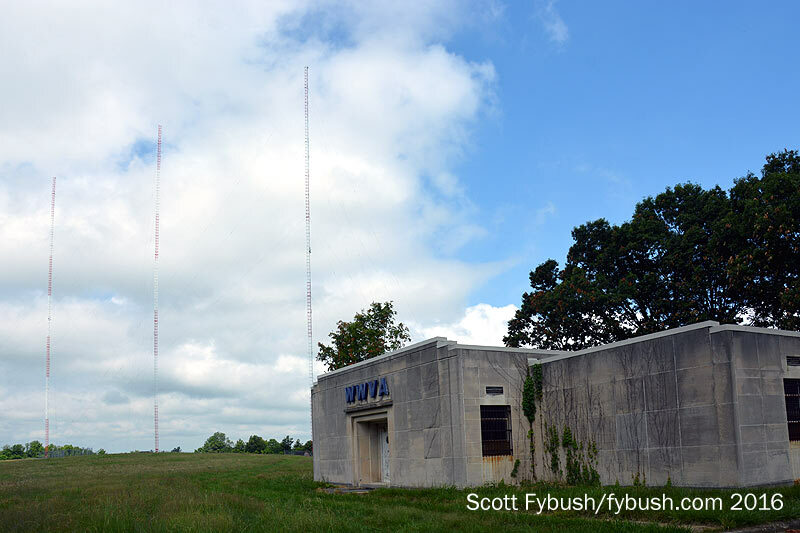 Continuing eastward into Ohio on I-70, we turn off quickly for a stop near St. Clairsville to see the rebuilt WWVA transmitter site. A storm in 2010 brought straight-line winds that took down the three self-supporting towers that had been out here since 1941. (We chronicled the old site in Tower Site of the Week back in 2010.) 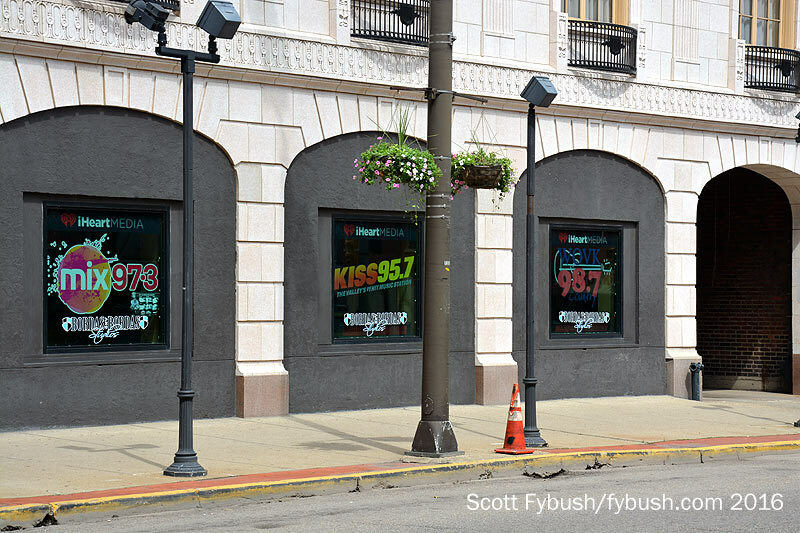 Over the next few months, then-Clear Channel rebuilt the array with new guyed towers; today, the site belongs to Vertical Bridge, and it’s still cranking out 50,000 watts day and night. 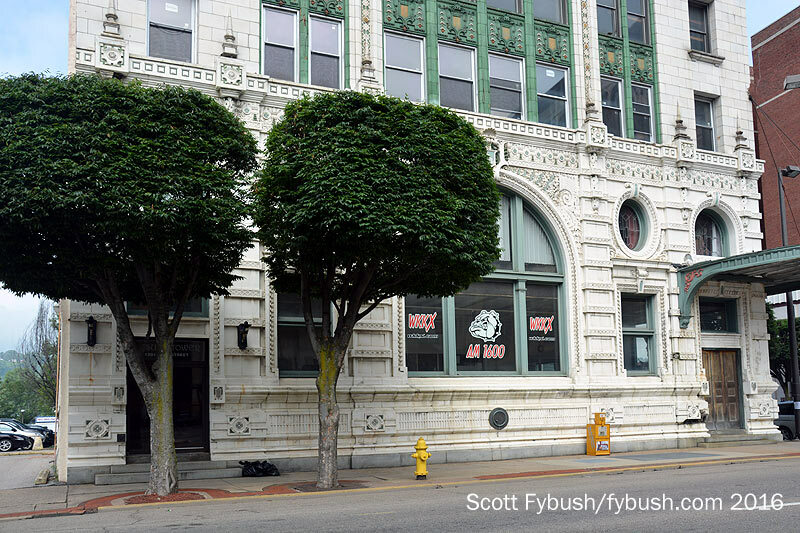 Another half-hour westward on 70 brings us to Cambridge and I-77, where we turn south to start visiting some new territory – to wit, Marietta, Ohio and Parkersburg, West Virginia, an area we’d never seen before. 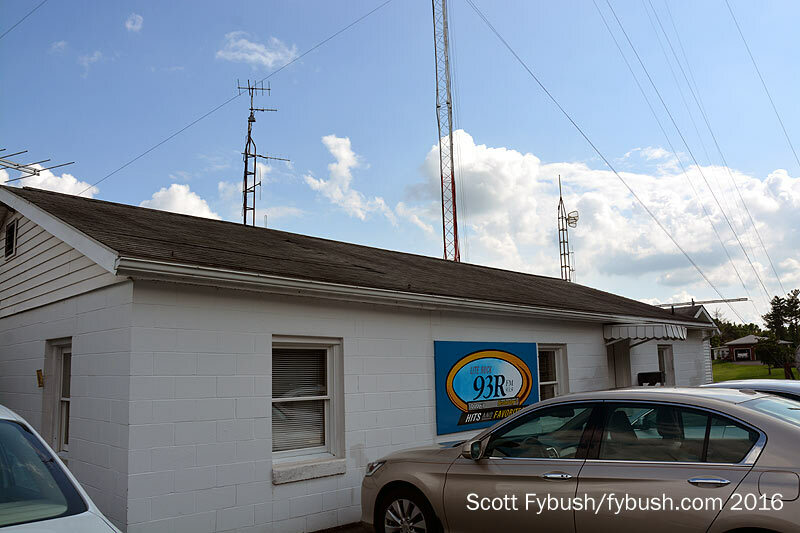 But before we see Parkersburg in depth, we backtrack 20 minutes or so to the northeast along the Ohio River to the little town of St. Mary’s, to pay a call on our friend Tom Taggart at two of the stations he owns in the region, WRRR (93.9 St. Mary’s) and WXCR (92.3 New Martinsville). 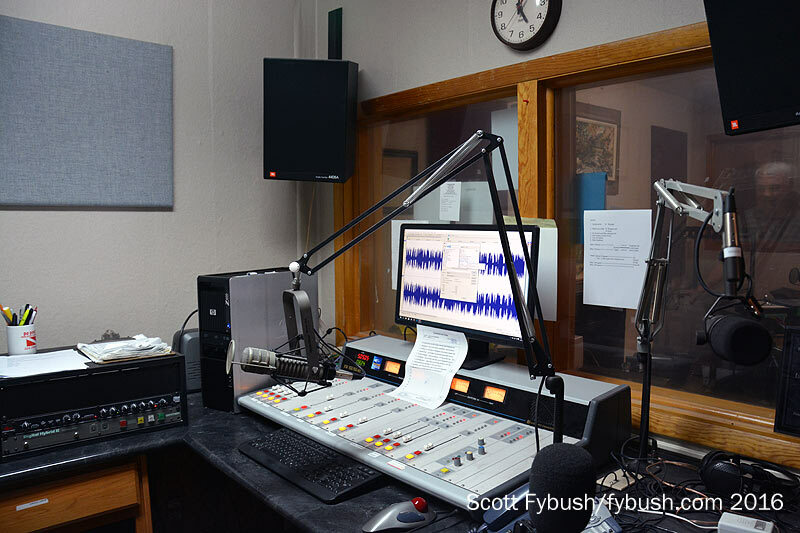 Both stations share studios at the WRRR transmitter site, up on a hill above St. Mary’s, in a low-slung block building with offices in front and a line of studios across the back. 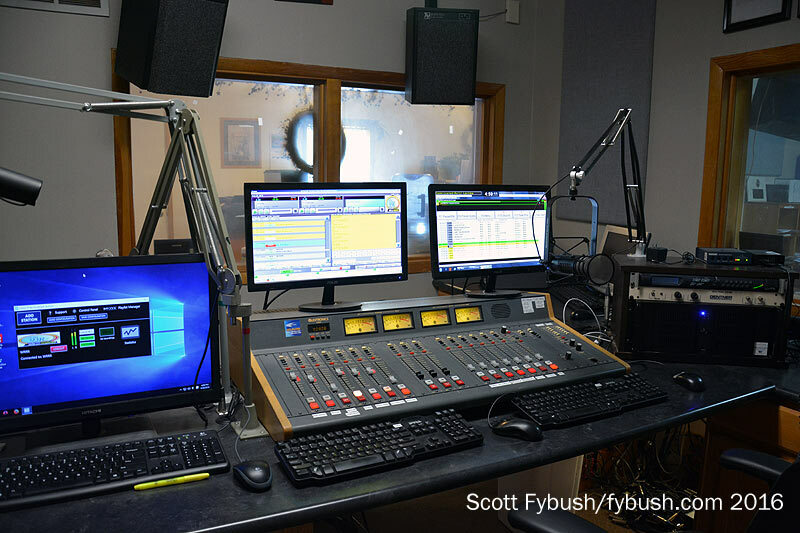 There’s a production room for WRRR (“Lite Rock 93R”), the WRRR air studio and the air studio for classic rock WXCR, which doubles as a rack room. 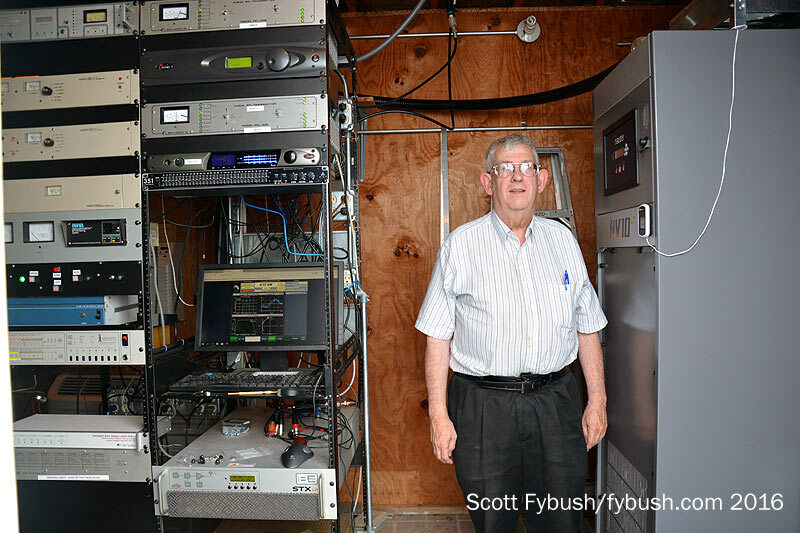 A separate building off to the side holds the tidy WRRR transmitter setup, with a shiny new Nautel that Tom’s justifiably proud of. 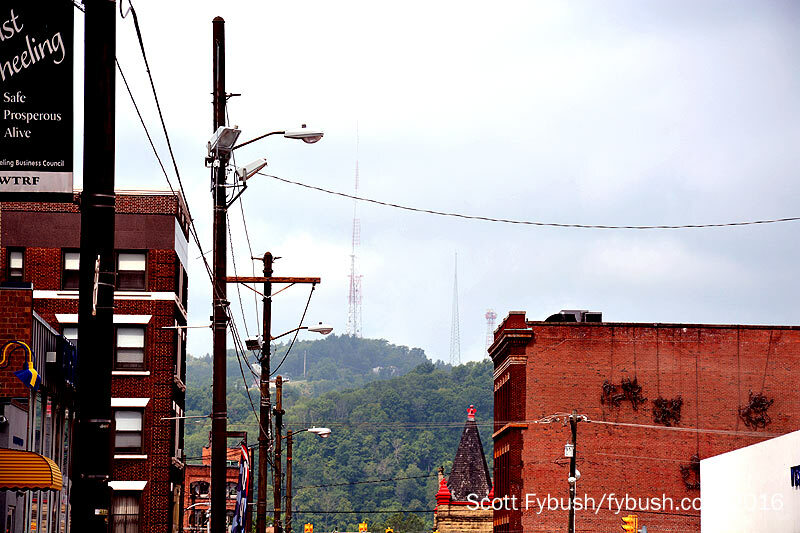 From here, we retrace our path back to Parkersburg to see WRRR’s sister station and some of its competitors – and we’ll show you those in next week’s installment. Thanks to Tom Taggart for the tour! And don’t miss a big batch of Mountain State IDs next Wednesday, over at our sister site, TopHour.com!